What is a nebulizing diffuser? A nebulizing diffuser uses a pump to put liquid aroma under pressure causing it to micronize. The particles are then emitted as a mist that becomes scented air. They do not use water, fans, aerosols or vacuums. We invite you to browse our selection of the finest nebulizing diffusers. Click here for an example of an example of how we help businesses scent their space. For more information about scent diffusion, click here. Questions? Click here to email us about your project. We are 100% natural, healthy oil diffuser experts. 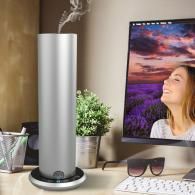 Best Scent DiffuserAromaGlow is the best economy-priced table top nebu..
Best Scent DiffuserAromaGlow is the best economy-priced table top nebulizing diffuser. No delicate glass tubes that clog. No water to go moldy. AromaGlow features a soft glowing base that changes color for each power level. Every level has a longer burst and a shorter rest period between bursts. You'll love the handy built-in bottle storage area. Pair with an inexpensive lamp timer to turn it on and off at any time each day or the unit shuts off automatically after 2 hours. Now with downloadable BlueTooth programability via the APP store.Click here to check out celebrities that selected diffusers. To see it in magazines click here.We recommend the AromaGlow for daytime use at homes or offices. The sound level is approximately 20 - 25 decibels (dB) during bursts - approximately the sound level of someone saying shhh at the library. Silent between bursts. (40 dB is the noise level of a normal conversation)The technology: Our dry nebulizing technology turns Ajne 100% natural diffuser oi..
Best Small Portable Diffuser - Looking for the perfect small aroma dif..
Best Small Portable Diffuser - Looking for the perfect small aroma diffuser for your car, boat, bath or office? Meet the MotoAroma! Just 4 inches tall and fits perfectly in your cup holder. It's very easy to use. And it runs up to 24 hours with one charge. Take it anywhere! Available in white, black, seafoam or blush. Ok and if you're shopping for Sammy Hagar, we can get you a red one! Click here to check out celebrities and hotels we've been honored to serve, as well as to see us featured in magazines.MotoAroma is waterfree. It uses no heat and produces a completely dry oil burst that literally becomes scented air. The particles are +/- 1 micron in size. They don't float to the floor or upon furniture to attract dirt and dust. Our technology is more effective than aerosol, ultrasonic, fan or atomizer systems. Unlike ultrasonic units that grow and emit mold according to Consumer Reports, our diffusers help make your air healthy and fragrant. For complete info..
AromaHome is one of the best essential oil diffusers in its price rang..
AromaHome is one of the best essential oil diffusers in its price range. Keep it simple with the 5 preset power levels or customize the daily on/off and any scent burst/rest settings you desire. The sound level is whisper quiet - approximately 15 - 18 dB during bursts and silent between bursts. (15 dB is about the loudness of someone breathing deeply - barely audible - and nearly impossible to hear if there is any ambient noise in the room. )Click here to check out celebrities and hotels that selected AromaHome. To see it in magazines click here.Our dry nebulizing technology turns 100% natural oils into pure fragrant perfection. Every Ajne diffuser aroma is pollen-free, petro-chemical-free, chlorine-free, synthetic-free, anti-fungal, anti-microbial, anti-bacterial and anti-viral. It literally helps purify and deodorize the air!AromaHome is solid metal. It uses no heat and produces a completely dry diffuser oil burst that literally becomes scented air. The particles are +/- 1 m.. The ScenTower essential oil diffuser is the finest easy to use, aroma .. The ScenTower essential oil diffuser is the finest easy to use, aroma diffuser for spaces up to 2500 cubic feet. It's solid metal - not plastic - and it nebulizes our 100% natural diffuser oils into fragrant perfection. Every Ajne diffuser oil is pollen-free, petro-chemical-free, chlorine-free, synthetic-free, anti-fungal, anti-microbial, anti-bacterial and anti-viral. They purify and deodorize the air. Many report an "improved sense of well being. "Click here to check out celebrities and hotels that selected ScenTower. To see it in magazines click here.Select power settings 1 to 9. Each higher setting has a longer burst and a shorter rest period between bursts. Pair with an inexpensive lamp timer to turn it on and off at any time each day. The noise level is 15 decibels - approximately the loudness of someone breathing deeply - so barely audible. It is silent between bursts. (by comparison, a normal conversation is 40 dB)The ScenTower uses nebulizing technology. It produces a c.. The Stratus 1 is an fab battery powered oil diffuser that will scent u.. The Stratus 1 is an fab battery powered oil diffuser that will scent up to 500 cubic feet. Great for restrooms or smaller spaces. It is highly effective and highly cost-efficient. The Stratus 1 may be used table top or wall mounted. Controllable with your iPhone or Android.Click here to check out celebrities that selected Diffusers. To see it in magazines click here.Every Ajne diffuser oil is pollen-free, petro-chemical-free, chlorine-free, synthetic-free, anti-fungal, anti-microbial, anti-bacterial and anti-viral. About diffusion: All of our aroma diffusers work without heat via nebulizing technology. They produce a completely dry scent burst of particles of +/- 1 micron in size that literally become scented air. The scent never floats to the floor or upon furniture to attract dirt and dust particles. Our technology is superior to aerosol, atomizer, fan and especially ultrasonic. You can use your mobile phone to control power settings 1 to 9. Each higher setting has.. The Nimbus 3 is a water-free professional quality nebulizing diffuser. It is about the size of a book. It emits pure essential oil bursts of scent in a way that will scent up to 3000 square feet. It turns itself on and off each day. It puts out only the amount of scent you want. And every Ajne diffuser oil is pollen-free, petro-chemical-free, chlorine-free, synthetic-free, anti-fungal, anti-microbial, anti-bacterial and anti-viral. The units are highly effective and highly cost-efficient.Click here to check out celebrities that selected our Diffusers. To see it in magazines click here.How does it work? The Nimbus 3 works without heat or water. It produces a completely dry scent burst that literally becomes scented air. The particles +/- 1 micron in size - so they never float to the floor or land on furniture to attract dirt and dust. Use it table top or wall mounted, free-standing or into the HVAC ducting. 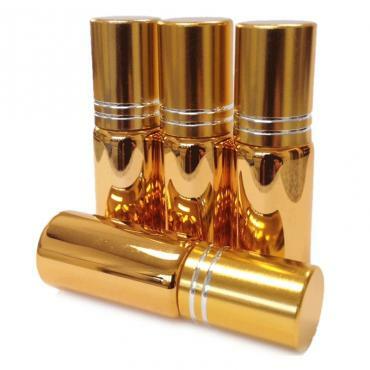 Ajne technology is far superior to aerosol, atomizer, fan and especially ult..